It seems that I was born with counterpoint. As a teenager in India, I wrote polyphonic compositions. When I sent these for an audition to the Music University in Graz, Austria, I was asked where I had learnt counterpoint. At that time I did not even know what the word meant. In Austria, I was told that next to Anton Bruckner’s death bed, piles of counterpoint exercises had been found. This inspired me and I wrote fuges night and day. I have always been a fan of Bruckner, a composer, to whom I can relate most. I composed a great deal of choral and chamber music during my studies and my unfortunate church choir and the marching band in Eastern Styria were compelled to sing and play quite atonal stuff. This did not meet with much enthusiasm! Soon I departed from this completely atonal path. Today, I would describe my compositions as mainly free tonal. My triple cultural identity as an Indian, Austrian and Chinese are reflected in my compositions, in which I endeavor to create a new Asian symphonic sound combining Asian traditional music with western symphonic and choral techniques. My First Symphony, “Prayer Flags”, is based on Indian tonal patterns and literature. 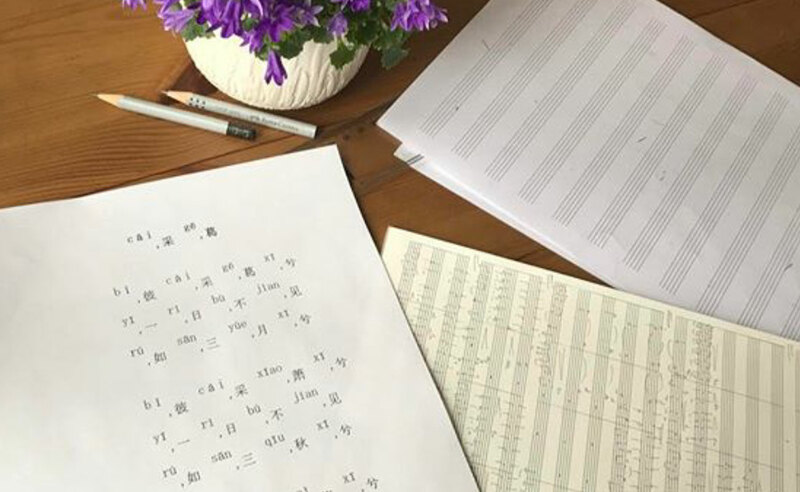 My Second Symphony, ChangAn Men, endeavors to highlight different aspects of Chinese culture and philosophy and is the first large commission assigned by the People's Republic of China to a non-Chinese composer. My long experience as a conductor for orchestras and choirs has enabled me to have a better comprehension of sound structures, orchestration and voices. I wrote many compositions and arrangements for my ensembles. This intense writing gave me the necessary practice and I had the immense advantage of hearing my works immediately. This experience over decades helped me imagine the third dimension -the depth and colour of sound more easily, particularly since I had a great deal of practice in the first two dimensions -the creation of melodies and harmony. My role models are the masters of the late twentieth century such as Poulenc, Britten and Bernstein. They were both conductors and composers. The theory of composition is an essential aspect but the experience of real time hearing of orchestral colors and voices is essential for the creative process. I am convinced that conducting and composition are complementary activities, by which one learns from one activity for the other. This combination has helped my personal growth greatly.